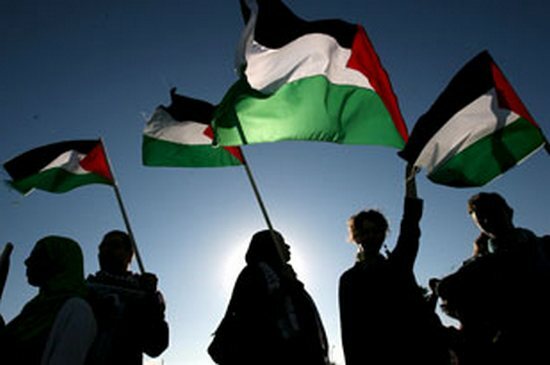 The Palestine Liberation Organization’s central council voted on Jan. 15 to “suspend recognition of Israel until it recognizes the State of Palestine on the 1967 borders and revokes the decision to annex East Jerusalem and expand and build settlements.” This is an important move that would also reverse the Palestinian leadership’s adherence to the 1993 Oslo Accords and security cooperation with Israel. The decision must now go to the PLO’s executive board for implementation. The declaration comes on the heels of the Trump administration’s recognition of Jerusalem as the capital of Israel. The occupation of East Jerusalem since the Six-Day War 1967 has always been illegal under international law and has repeatedly been condemned by the United Nations. The claim that the city is Israel’s capital is designed to annex territory that is legally accorded to the Palestinians. Protests in Palestine against Trump’s declaration resulted in several deaths and hundreds of arrests. The UNWRA would lose almost 30% of its budget, which provides health care, education, and social services to Palestinian refugees. This would be a particularly vicious blow against Palestinians in the Gaza strip and refugees in Jordan. Many refugees live on a knife’s edge, and will have nothing if the UNRWA leaves, opening the specter of an uprising in refugee camps. Meanwhile, encouraged by American support, Israel has approved 770 new settlement homes in the West Bank. The homes would be deep enough in the West Bank that a peace agreement would require their evacuation. This is not a major change from last year, when 6742 new housing projects were approved. On Dec. 19, a 16-year-old Palestinian, Ahed Tamimi, was arrested after she slapped an Israeli soldier. Her teenage cousin Mohammed had just been shot, nearly fatally, with a rubber-coated bullet. Tamimi is being held in a military prison and faces up to 10 years in prison if convicted by a military tribunal. Tamimi has become a human face of the occupation of Palestine and a symbol of global resistance. She is also a reminder that Israel detains hundreds of Palestinian children aged 12-17 every year. Many are locked up for nothing more than throwing stones. Tamimi has also seen a harsh backlash from Israeli civil society, with insinuations that she is no more than a propaganda tool for the Palestinian cause. Yet nothing is more telling in Palestine than the fact that the day-to-day brutality of the occupation, which has already killed four Palestinians in 2018, must create such moments of propaganda. As international pressure has mounted, Israel has lashed out at its critics. On Jan. 7 its Strategic Affairs Minister, Gilad Erdan, released a blacklist of 20 NGOs that will be banned from Israel for supporting the Boycott, Divestment, and Sanctions (BDS) movement. It includes Palestine solidarity organizations as well as antiwar groups such as the American Friends Service Committee, Code Pink, and Jewish Voice for Peace. The BDS movement is an international campaign, coordinated with Palestinian civil rights organizations, to demand that Israel end its human rights abuses in Palestine. Modeled on a campaign against the apartheid government of South Africa, BDS works to stop purchases of Israeli goods, encourages university and pension funds to divest from Israeli corporations, and calls for international sanctions. The campaign has been slandered as anti-Semitic and has been subject to legal attacks both in Israel and in 21 states in the United States. The “two-state solution” in Israel and Palestine is, more than ever, a dead letter. Between 600,000 and 750,000 Israeli settlers live on land seized by Israel in 1967. The West Bank is cut into nonviable “bantustans” by the illegal border wall that incorporates not only Israeli territory but its settlements. Gaza remains an open-air prison, living under a 10-year blockade. Even if it were enacted, a two-state solution would still leave millions of refugees outside its borders, and over 1.6 million Arabs as second-class citizens of Israel. Following Trump’s recognition of Jerusalem as the capital of Israel, long-time Palestinian negotiator Saeb Erekat called for a “struggle for one-state with equal rights for everyone living in historic Palestine, from the river to the sea.” The framework of the Oslo Accords, with two states in a lengthy peace process—which was always a mirage—is now receding from view. A lasting peace will require a single, democratic, secular state in all of historic Palestine. This must include the right of return for refugees and full rights regardless of nationality or religion. Anything less will simply mean an extension of the settler-colonial regime of brutality and dispossession of the Palestinian people. Socialists demand an end to U.S. political, economic, and military support for the apartheid state of Israel. Fully fund the UNRWA! End the attacks on antiwar organizations! Support the BDS movement! No more homes on stolen land! Free Ahed Tamimi and all political prisoners! Free Palestine! >> The article above was written by Wayne DeLuca, and is reprinted from Socialist Action newspaper.